Express By Holiday Inn Birmingham N.E.C. The Ramada Hotel Birmingham at 160 Wharfside Street enjoys a wonderful location. Everything that the Birmingham city center has to offer is within easy reach. That includes The Mailbox complex, which features a variety of shops, bars, restaurants, and upscale apartments. 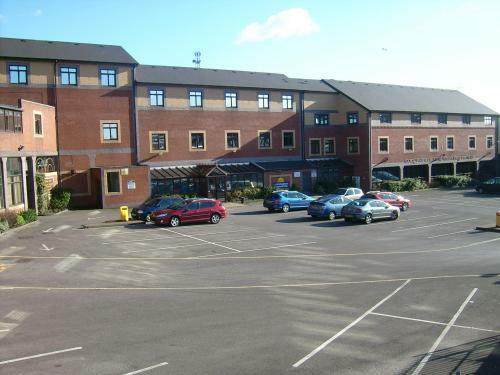 Other perks in terms of location include the hotel’s relative proximity to the New Street Station and the M6 Motorway. The Ramada Hotel Birmingham is known for its high affordability. This doesn’t mean that guests have to sacrifice modern comforts. LCD TVs can be found in each of the bright guest units, and high speed internet access doesn’t cost extra. Self controlled heating and cooling is also among the standard amenity highlights, and guests have access to such basic things as irons and hair dryers. As for the general facilities at the Ramada Hotel Birmingham, they include a coffee shop and a restaurant that is open for breakfast, lunch, and dinner. Should they wish, guests can also take advantage of the onsite meeting and event facilities.